In this post I would like to thank Hock (nhocki on twitter) for a great gift. A gift that will teach me a lot about writing and that will, with no doubt, make a good writer out of me (hopefuly). 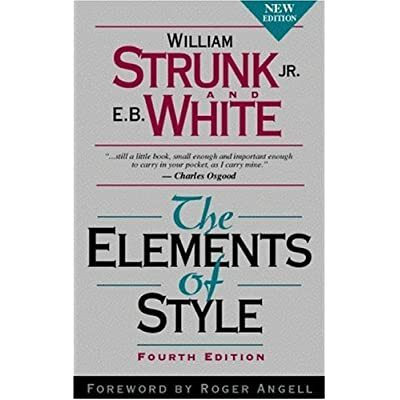 The gift was a book from William Strunk Jr. and E.B. White and it is called The Elements of Style. The only thing left to say is that I intend to write each post better than the previous (in terms of style, grammar, sense, vocabulary and structure) and that any comments about it are very welcome.